Or so the saying goes. Typically I’m a ‘leave it to the last minute’ sort of person, but that approach is never going to work for the Pennine Way project. I have to check the accuracy of every single one of the 270+ pages in the book, I have to walk all 268 miles of the route, as well as an additional (estimated) 30 miles of options and alternatives and I have to include new text as I see appropriate, without increasing the overall size of the guide. As such, I’ve decided to get a wriggle on and try and walk as much of the route as I can while we still have something close to summer weather – realistically that’s the rest of this month and the first three weeks or so of September. Beyond that I can expect much more rain, wind and generally tougher conditions underfoot. 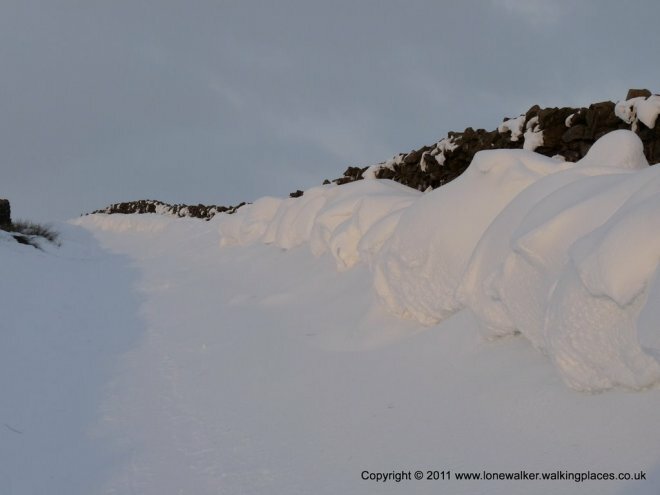 I doubt there would be a tougher path in England, than the Pennine Way in winter. So tomorrow, after work, I’ll be heading for Ribblehead to walk a section of the path between Gargrave and Cam End. The idea being to park at Ribblehead station, get the last train to Gargrave and walk back to the car. This is an approach I’ve used quite a lot recently while I’ve been walking the Settle-Carlisle railway, so I have the timetable emblazoned on my retina. 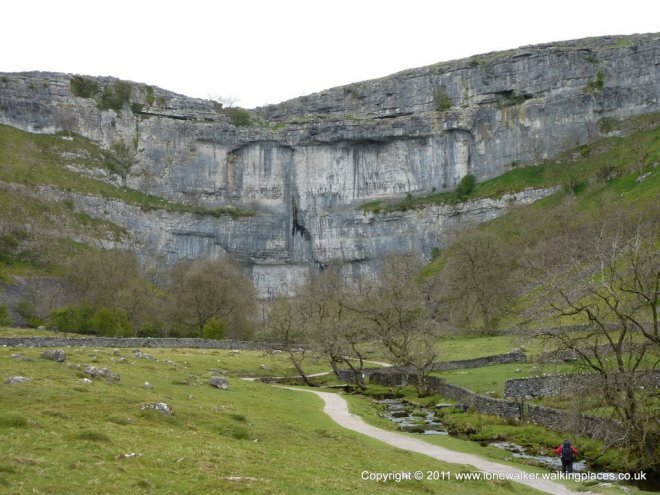 This is one of the most scenic sections of the route; the splendour of Malham Cove, the equally daunting and inspiring view of Pen-y-Ghent as you stand, hands on knees, recovering from the ascent of Fountains Fell (well, I was anyway). 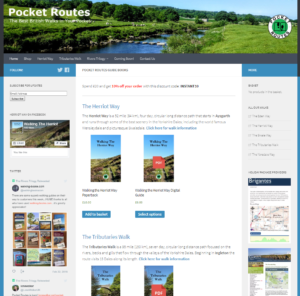 It includes three wonderful villages in Gargrave, Malham and Horton-in-Ribblesdale so I shouldn’t be short of supplies along this section either. 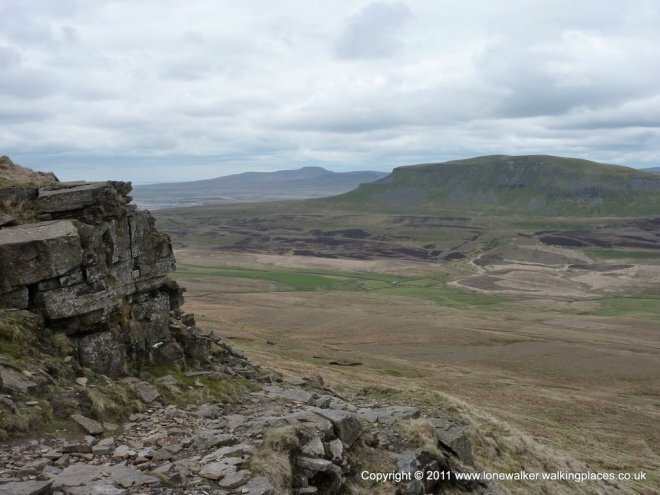 I’m planning on wild-camping the route – I’m going to try and find a secluded spot somewhere between Gargrave and Airton (which could be tricky I think) and then on Saturday night I’m looking for a pitch on Pen-y-Ghent, somewhere on the path to Plover Hill, just off the route. That means I can use the villages for breakfast and I only need to carry one meal. The biggest test for this weekend is of the approach I need to take to validate the route. I’ve never really had to do anything like this before, so I guess there’s going to be an element of trial and error involved. 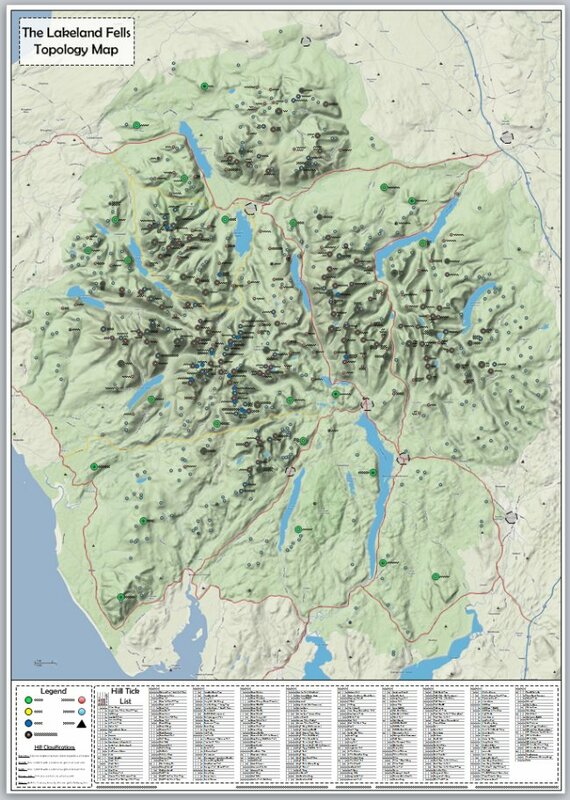 I will take blown up versions of the maps in the book and check each item on them for accuracy and add any new features that may have appeared since the last edition (like new slabs or fingerposts etc.). As I’m only going to be walking about 30 miles of the route, I can always go back at a later date and fix my approach if I find it was flawed. The main concern I have in my head is how to make notes and annotations on a paper map when the elements are against me. I can use pen and paper in dry conditions, but if it’s chucking it down and the wind is howling, it will be a completely different proposition. This weekend will also be a test of my new mobile phone provider. I switched from Orange last week, to Virgin. Despite being an Orange (EE) customer for over 4 years, they couldn’t do me deal that comes even close to the Virgin SIM-only deal I’ve just moved to. The reason I chose Orange in the first place was for their coverage in the hills, but I understand Virgin flips over to Orange when they don’t have coverage themselves – so I’m hoping that I’m no worse off coverage wise, but £20 a month better off money wise! I don’t know if this will be any use to you but I went to the Gadget Show this year and one of the stands had something called stone paper that was completely waterproof, I was even able to write on it under water. Might suit your needs should electronics fail you. I’ve also got some waterproof printer paper that I bought off Amazon a while ago to print out OS maps on the colour laser at work, that works pretty well except I just use mmtracker on my old phone now. I also use MM Tracker on my Note2 and I’ve now scanned all the paper maps to PDF files so I have them on my phone too now. I’ve also started using the voice recorder app that comes with the phone and although I look a bit ‘special’ when I talk into the phone, I can make pretty good voice notes and relate them to a specific point on the map – in fact I reckon I can make more detailed notes that way, more quickly and without carrying extra weight! So an all round winner I think. Yes, I know where you’re coming from with the technology. It was yourself I got the idea for mmtracker from, its my main mapping app but I do fall back on Alpine Quest or Orux Maps if it fails for any reason. I tend not to have paper maps when walking but always have 2 devices, my old desire as main GPS and my current phone a galaxy nexus as backup and then I have an Anker battery I got off amazon as extra juice which is brilliant as it will charge one device 5 or 6 times and charges anything that uses a USB cable. Got that for Hadrians wall and it worked perfectly, charging both android devices and my camera. Congratulations with the new job in such a difficult climate, and what a great project with Trailblazer. 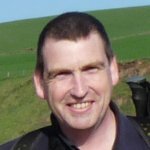 To be paid to re walk The Pennine Way, what a dream – your first blog has put me right back there. Yes it’s an absolute nightmare trying to write out in the elements; how about putting a transparent grid over the blown up trailblazer map all within a waterproof holder, then use the grid as a position reference and record your notes to a good MP3 player with a built in recorder which is not so hard to keep dry. Best of luck. I look forward with envy to your next blog. Well note taking in the elements was put to the test in no uncertain terms yesterday – it poured down for the first three hours and again for another hour or so later. I was forced into a routine that actually seemed to work. Not dissimilar to your suggestion either. As a stickler for weight reduction I’d photographed all the maps and route notes from the book, with my smartphone, so rather than have hard copies I just referred to my phone, in its waterproof case. I then used a voice recorder app (part of the phones suite) to record my amendments, making reference to the map I was on and the location. This seems to have worked well and it’s an approach I’ll continue with I think.